Why Is Water Leaking Into My Windowsill? Water on a windowsill requires immediate attention and you have to track down the source of the leak. Water could be coming in from around the window, through the window frame or around the edges of the glass. If you only see water on the windowsill when there is a lot of condensation on the window, you might have a humidity problem. Eliminating the water helps prevent future issues with mold and rot in damaged walls. 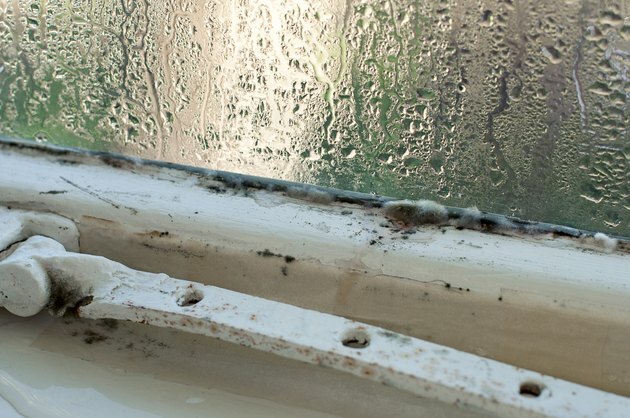 A wet windowsill can grow mold and damage the wall next to it. Excessive condensation on window glass is either because of high humidity in the house or the failure of the seal on double-glazed sealed windows. If your house is an "airtight" model that reduces heating and air conditioning costs by sealing the house, humidity may build up and cause high levels of condensation on all your windows. Install a dehumidifier to reduce humidity or an air exchanger to increase ventilation. If your house is not sealed or if only one or two windows are affected, a seal failure is letting cold air enter the space between the glass panes and causing condensation on the inside of the window. In that case, replace the sealed double-glazed panes. 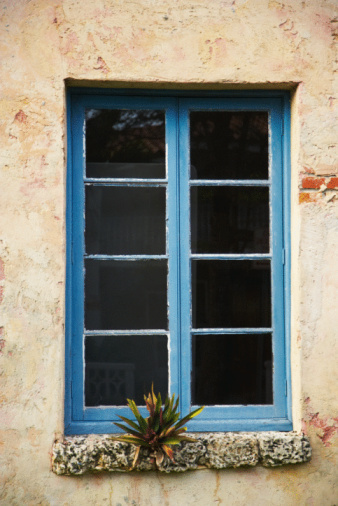 Movement of the window frame or flashing against the building walls opening up a crack often cause window leaks. Examine the flashing and caulking around the outside of the window for cracks or holes. Spray such cracks or holes with a hose and check to see if there is water on the windowsill to identify if the crack is the leak source. Replacing the flashing or removing old caulking with a utility knife and applying fresh exterior-grade sealer usually fixes the problem. Windows have several layers of wood, vinyl or metal, and the seals that prevent water from seeping through the cracks can fail. You often can't see the problem inside the window frame, but you can see the water that penetrates through the frame if you spray the frame with water from a hose. Sometimes you have to take off the inside moldings and windowsill to see exactly where the water is coming through the frame. If the frame is leaking, contact the manufacturer or the window installer. You may be able to seal the leak with a specialized product, or you may have to replace the window. Window glass is sealed to the window frame with a silicone sealer or glazing putty. In either case, you can visually inspect the condition of the seal to find any cracks, holes, crumbling putty or missing sealant. Clean out the damaged area with a utility knife or a paint scraper. Softening the material with a heat gun may help remove old putty. For windows with silicone sealer, apply new sealer. For windows with glazing putty, apply the new putty with a putty knife, making sure the putty matches the shape and angle of the original putty. Why Does Condensation on Windows Happen?